A Siberian tiger named Kuzya created an international incident last week when he trekked from Russia, where Russian President Vladimir Putin had personally released him, across the border into China. “How long before this poor tiger becomes a rug in some rich official’s house?” a Chinese microblogger wrote, according to the New York Times. That’s a real concern. Only a day before Kuzya crossed the Russian-Chinese border, a raid on a Chinese Chamber of Commerce office in Cambodia turned up a valuable (and illegal) cache of tiger and other wild animal parts. Due in part to poaching, fewer than two dozen tigers remain in the wild in China. A single tiger carcass goes for $10,000, and a case of tiger-bone wine, a traditional Chinese medicine tonic made by steeping a tiger skeleton in rice wine, can go for many times that amount. This appetite for tiger products could eventually spell extinction for the world’s remaining wild tigers, which number about 3,000. But it’s not just wild tigers that are being killed for their skins, bones, meat and other parts. Today, there are some 6,000 captive tigers in breeding facilities in China – or “perhaps more”, says tiger conservation expert Judy Mills, whose book, Blood of the Tiger: A Story of Conspiracy, Greed, and the Battle to Save a Magnificent Species, is coming out in January. Mills spoke at the Society of Environmental Journalists meeting in New Orleans last month about the growing trade in products from captive tigers. That growth is happening "unhindered", says Debbie Banks, head of the Tigers Campaign at the Environmental Investigation Agency. 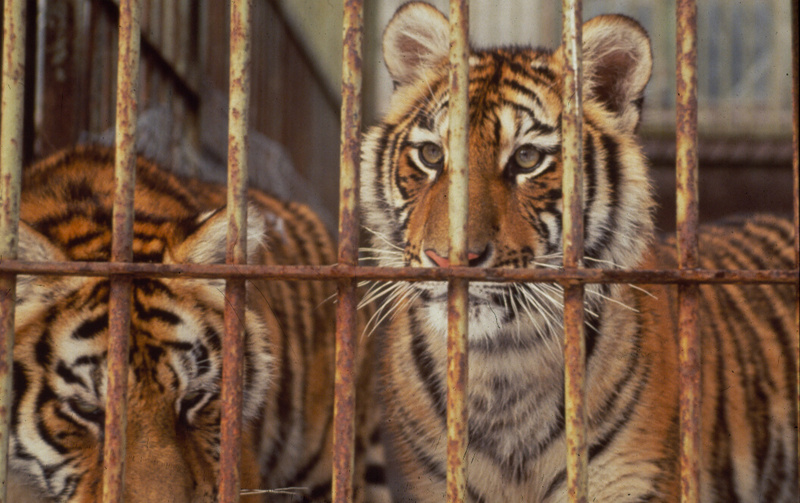 Despite a 2007 international agreement to phase out the practice of breeding tigers for purposes other than conservation, China licenses facilities to breed tigers and sell their skins to the domestic market (tiger-bone wine is still officially banned). Other Asian countries are also getting involved. Some defend tiger farming by arguing that it protects wild tigers like Kuzya by satisfying demand for tiger products, but these arguments are flawed, warns Mills. Legal tiger farming will increase demand for tiger products, both farmed and wild. The market for tiger products has room to grow because people increasingly collect them as status objects and investment vehicles, like gold. "We are seeing a disturbing shift in demand for some species from health to wealth – driven by the motivation of displaying new wealth rather than by use in traditional medicine. This is most evident with the use of rhino horn and tiger parts,” said CITES Secretary-General John E. Scanlon in a press release in July. Legal farming will turn more consumers on to tiger products – and some of those products are likely to come from the wild. According to the tenets of traditional Chinese medicine, wild is better than farmed, Mills says. What’s more, wild tiger products are inherently more valuable, since they are rarer. And that is what’s really scary here: people who invest in these products have a stake in the extinction of wild tigers, Mills says. If wild tigers go extinct, these investors will be sitting on a fortune. It can cost up to ten times more to produce parts from farmed tigers than from poached wild tigers, so poaching is where the biggest profit is. In addition, wild tigers inhabit some of the poorest regions of the world, so poaching one tiger offers a nearly irresistible windfall for a local hunter. According to a 2014 report by conservation groups, organised crime is hiding behind China’s authorised tiger farms and skin trade. Law enforcement can’t tell a dead poached tiger from a dead farmed one, so tiger farming "is a fantastic cover for … laundering", Mills says. Accredited zoos around the world carefully breed tigers to maintain the genetic diversity of the species, looking to a potential future when reintroducing these captive-bred predators safely and successfully into the wild might be possible. Such breeding programmes are not without their critics, but there are many who argue that zoos can help conservation efforts. Tiger farms, on the other hand, have nothing to do with saving these big cats. “A lot of biologists view [farmed tigers] as dead already because they have nothing to do with conservation,” Mills says. “The tiger farms in China treat their tigers horribly,” says journalist Sharon Guynup, author of Tigers Forever: Saving the World’s Most Endangered Big Cat. “They … end up with all kinds of deformities because they haven’t gotten proper nutrition – bent bodies, weird tails.” Other reports of barbaric treatment – from starvation to painful practices such as ripping out claws and teeth – at Chinese tiger farms have attracted widespread condemnation from animal welfare organisations. The condition of the world’s tigers is dire. We will have to gamble on uncertain solutions to save wild tigers like Kuzya. But farming tigers and other endangered species, Mills says, is a losing bet.